What ride has the longest lines at an amusement park? It’s the roller coaster in all it’s manifestations. It’s doggone exhilarating, that’s why. You lurch forward in the cart your seated in, tightly secured by a safety strap, up an initial incline to the highest point of the ride. There, at the apex, it hesitates for a moment, lurches, and ponders what to do. You’re at the coaster’s mercy – and you know it. There’s no other choice. There is no going back. Your senses are enlivened as you wait in that suspended limbo between the up and the down. The coaster then plunges down an impossibly steep decline, accelerating toward the bone jarring twists and turns that await. Suddenly an electrifying surge of adrenaline courses through your nervous system and escapes through your scream. For the two minute duration of the ride, your brain has become a cacophony of perception; mixed with excitement and dread, exhilaration and horror, longing and avoidance, love and hate. You stagger out of the cart, down the exit ramp, and out again into the alluring lights of the park. For as short a duration as the ride really was, you’ve yet to find an experience that quite matches it. Welcome to the ride of your life. In a scene from the movie, “Parenthood”, the main character Gil is complaining to his wife about his swiftly changing life and its irritating complications. He just wants it to calm down. Grandma, who is primarily dismissed as crazy, old, and irrelevant, wanders in on the conversation. Gil patiently and politely dismisses her story. She walks out of the room, leaving a residue of wisdom on experiences that lingers for the rest of the movie. Life, with its relentless and often dangerous twists and turns of change, is a ride that requires patience, boldness and fortitude to truly experience the adventure that it really is. Obviously, with so many athletes competing not everyone wins the gold. Some win a silver medal and others a bronze. 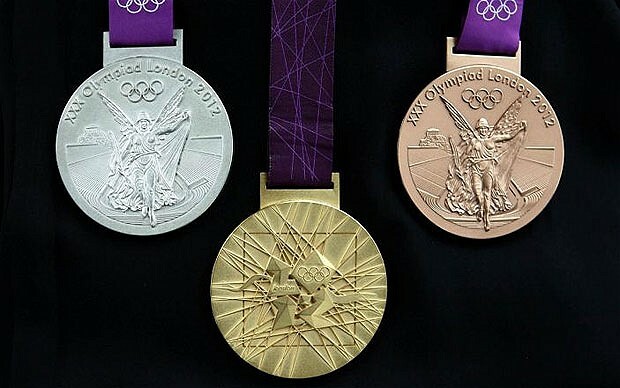 Interestingly, an article in Scientific America pointed out that those athletes who win a bronze medal are more satisfied with their victory than those who win silver. The difference? Bronze medal winners are acutely aware of how close they came to not winning a medal at all. Silver medal recipients on the other hand focused mostly on how close they came, but didn’t, to winning it all. It’s the difference of perception between not losing and not winning. A not losing attitude creates a sense of gratitude for getting what you got. A not winning attitude creates a sense of disappointment for getting what you got. Make sense? If you were expecting a 10% raise but only got 7%, you are more likely to be disappointed. On the other hand, if you were expectinga 7% raise but got 10% you would be grateful. Getting a C+ on a test instead of the expected C- can make for a pretty good day. Going from anticipating an A but getting a B can mar your whole day. Every once in a blue moon I fly fish. Sure there is the “big one” that got away (told in tall tales). But catching anything at all is pretty exciting and considered a good day. I’m grateful I was able to nab a fish at all even if it wasn’t the gold medal of rainbow trout. A person’s achievements matter less than how that person subjectively perceives those achievements. It’s the difference between satisfaction or disappointment and between contentment or bitterness in the game of life. How are some ways you instill that attitude in your day to day life? What are some examples? The character, Truman Burbank, leads a very ordinary existence in the suburbs. Unbeknownst to him, he is being filmed for a very popular documentary show where he is the star. Everything in his life, from the small product placements of advertisers to his own intimate family affairs, is scripted and put in place for the voyeuristic fascination of the world. All those around him (actors in the show) claim ignorance or avoidance when Truman begins to suspect something isn’t quite “right” with his reality. For sufferers, the “Truman Show” delusion is so pervasive it involves the patients entire world, and everything real is unreal. Truman Burbank lived in a world where everyone around him were actors in a script, a charade whose entire purpose was to make him the focus of the world’s attention and add to the financial coffers of advertisers. When he discovers the ruse, he desperately and deliberately tries to escape its superficiality. We live in a dramatically different media environment than when that movie was released fifteen years ago. There is an overwhelming influx of pervasive media technologies, with cameras and microphones everywhere. Video sharing sites and video blogs enable hundreds of thousands of people around the world to see our lives unfold in real time. With the advent of YouTube, personal documentaries are some of the most popular posts on the world wide web.